Yes, the Mets have signed another catcher. And this one is the best of the bunch. Unfortunately, that’s not saying much. 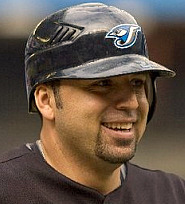 Rod Barajas is an average to slightly above-average defender and a terrible offensive player with one tool: the ability to hit the ball over fences. Don’t get too excited, though, as it’s not as though Barajas is Babe Ruth. By “the ability to the ball over fences”, I mean he has more power than Luis Castillo. Over the course of 450-500 at-bats, playing half of his games in Citi Field, he might hit 10-15 HR. However, he’ll also hit .230 (.240 at best) and post an OBP around .250 – .280. He won’t score many runs. His RBI total will be dependent on his homer total and his RBI opportunities. Essentially, he is a poor man’s Bengie Molina — and most of the statheads were very much against a Molina signing. Though, Bengie is not a good comparison, since Barajas has been more of a backup catcher most of his career. Considering that, Barajas is most similar to Ramon Castro. Before you say “a more durable version of Ramon Castro”, I will point out that Barajas has endured chronic hamstring, groin, and back issues — symbols of someone who has a problem with flexibility and is perpetually overweight. So again, Barajas is essentially Ramon Castro — minus the jokes and personality. We’ll get back to his defense, since that’s what the Mets’ spin doctors want us to focus on. You’ll hear nonsense such as “Barajas is an excellent defensive catcher”. He’s not. He’s “excellent” compared to Josh Thole. Compared to all other MLB backstops, he’s about average. His caught-stealing percentage has been consistently around 34% his entire career, which is much better than Mike Piazza, and a few ticks better than the average. However, did you know that the Mets catchers in 2009 had a caught-stealing percentage of 34%? Interesting, eh? I would say that, defensively, again, Ramon Castro is a fair comp. Is Barajas better than Brian Schneider? Tough to say, as they’re pretty close. If it came right down to it I’d take Schneider, who I think is a better overall receiver and a bit better when it comes to throwing out runners. Offensively, Schneider doesn’t have the pop, but he’ll get on base at least 50-60% more often. Barajas’ power is his singular tool, and even that is deceptive. Of his 19 HR in 2009, nearly one-third (6 to be exact) came in Fenway Park, Citizen’s Bank Park, and The Ballpark at Arlington — so take that info as you will. Additionally, he’s an incredibly streaky hitter, as evidenced by his .300 average in April last year, and .150 average in September. Also speaking to the streakiness, 7 of those 19 dingers came in August — 6 of those in a 10-game stretch. That hot April included 7 of his 19 doubles. Most scouts agree that in addition to being streaky, Barajas’ main problem offensively is that his performance drops considerably the more he’s exposed. Again, he’s sounding a lot like Castro, isn’t he? The sad thing about this? Upon his arrival on Tuesday, Rod Barajas will be the best catcher in camp, and the best on the Mets’ 40-man roster. But don’t let that fact depress you, since the catching position is unimportant and a non-factor on most teams. Though, you could also point out that “most teams” don’t make the postseason. Rod Barajas, Omir Santos, Henry Blanco, Josh Thole, Chris Coste, Shawn Riggans. How do the Mets plan on carrying 6 catchers between their major league and AAA rosters? I’m really having a hard time understanding this infatuation with stockpiling backup catchers. It’s like they get all excited over the limited skillset of one guy until they turn their head and see the next, and covet his skillset more even though he is only minutely better than the guy they already had. First Jerry was in love with Santos last summer, then he faded and Thole was the new gem, then his defensive lapses became evident and they went after devensive wiz Blanco, but his offense isn’t good enough so they go get Barajas. And in the end, Barajas is just ever so slightly better than the guy they originally had as the starter, Santos. It’s like a big merry go round. Round and round the Mets go, when will they stop and find a true starting catcher? Nobody knows! And so it seems now that it’ll be a Barajas/Blanco tandem to begin the season. The big question is will their offensive inabilities be made up by their reputation of strong defense? And by “strong defense” I mean in relation to the other catchers in camp, because by no means are an over the hill Blanco and an overweight Barajas resemblant of Ivan Rodriguez and Jose Molina. Although, both Pudge and Jose were available this offseason, and the Mets passed on them. Smooth move! Are you really using CS% as the sole basis for your analysis of Barajas’ defense? There is so much that goes into a SB/CS beyond a catcher’s control that it really is a useless stat. The % has more to do with the pitcher than the catcher. All the evaluations I have read state that he is an above average defensive catcher who calls a great game, knows the ML hitters, and works well with pitchers. Santos, on the other hand, is characterized by every baseball person I have read as below average defensively. I’m not really sure what the problem is. We said the Mets lacked depth, and now they have it at catcher. When Barajas inevitably goes down we have Santos/Thole/Coste to fill in. I prefer that to starting with one of those three. Same thing goes for 1B with Jacobs/Murphy/Tatis. Since spending a ton of money on a FA that wasn’t worth the large contract he demanded was a dumb move, we have options if one works out. I feel like they realized (finally!) that when you have replacement level players at a position to start with, you better have replacement level players to (get this) replace them! Last year they had too many injuries, we get that, but in several places a more decent player would have helped, and C/1B is totally covered: we know exactly what we are getting from that position no matter who is there. It is not ideal, but it is better than more big contracts for aging players. is choo choo coleman still alive?? tarheelcoach – No, CS% is not my “sole basis” of judgment. The problem (or to me, the glory) is that there is no one stat that can effectively and fairly judge a catcher. But if I simply state that “Barajas is an average catcher”, the statheads will come swarming with whatever numbers they can find to argue the point. So I figured I’d head them off at the pass with at least one stat that is universally acknowledged. I could’ve picked cERA, but that one is getting criticism in sabr circles and most outside those circles don’t even know what it is. But from MY eyes — and from trusted people I’ve spoken with — Barajas is at best slightly above average overall. His arm is his strongest asset, though no one would confuse him with Tony Pena. His mobility is below average. His game calling is OK, handling of pitchers similarly OK — both are a step above Omir Santos. One major issue with his defensive game is an aversion to contact at the plate — he prefers the swipe tag to meeting runners head-on. That could be interpreted as a smart thing to do, because it can help prevent injury. Though, most ballplayers — and catchers in particular — view it as a sign of fear and passivity. All that said, I’m not going to predict a Gold Glove for Barajas, and I doubt his homerun hitting is going to make up for all the other underwhelming aspects of his game. But who cares? The bottom line is that the Mets’ catching is a disaster, considering that Barajas at best is an acceptable backup catcher but is the top backstop the Mets have.